Idaho state flower that smells and looks like orange blossoms. 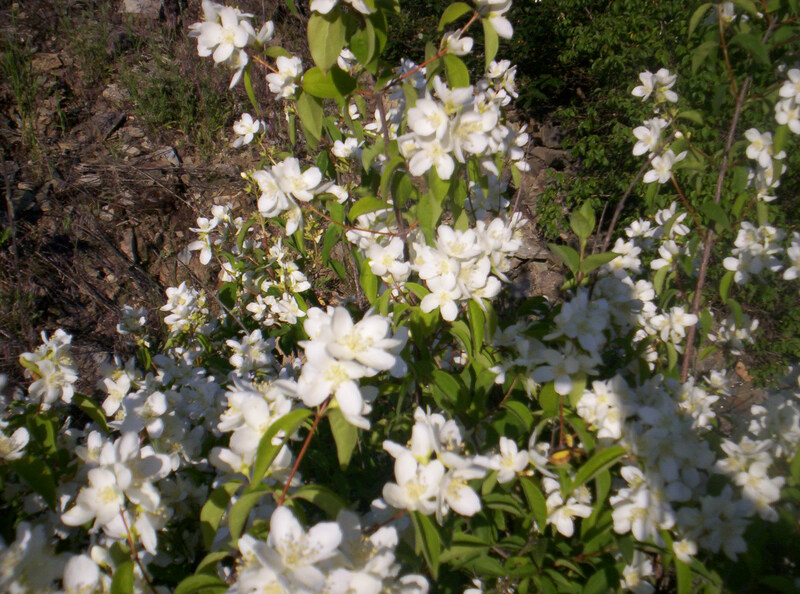 A graceful shrub that grows to 6′ – 12′ tall. 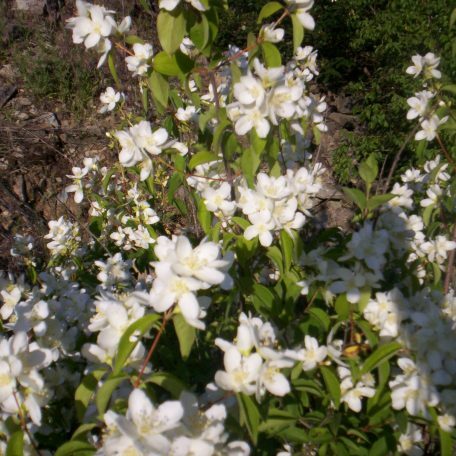 Covered with delightful velvety white flowers in early summer. 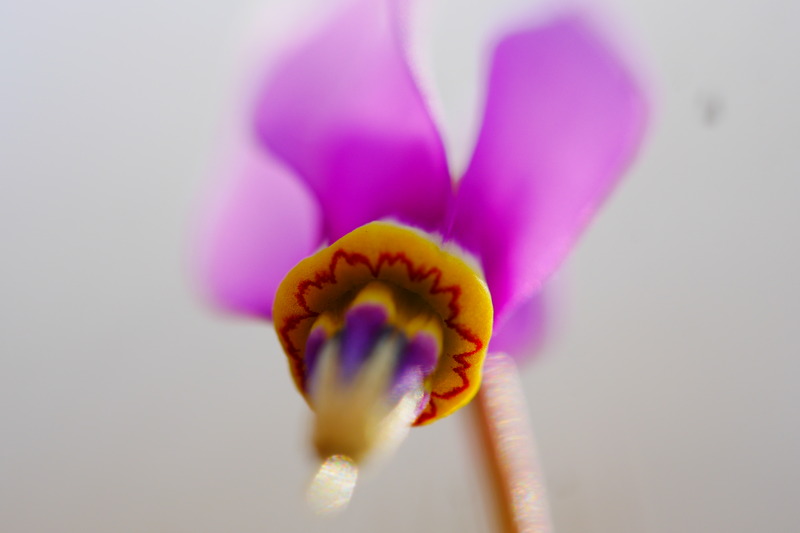 A drought resistant species, it is often found growing on rock slides and cliffs. It is also found growing along waterways. The seeds are eaten by birds and chipmunks while the young times are sometimes heavily browsed by deer.